Dell'Arte and the Humboldt Circus are finally getting around to answering the age-old question: "How many clowns can you fit into one weekend?!" So, put your coulrophobia by the wayside, and be prepared to be dazzled by not one, but two red-nosed, slapstick-filled tributes to the art of clowning. Dell'Arte's Who Ya Callin' Bozo? is a nostalgic homage to the era of classic circus clowning, minus the animal cruelty and sideline freak shows. The first-year students at Dell'Arte International School of Physical Theatre have some pretty big shoes to fill, but with direction from school director Ronlin Foreman they're bound to make it through the evening without pie on their faces. Or pies -- that's a lot of facees. This Ringling Brothers-vaudeville hybrid is a show for all ages, and runs from Thursday, April 25, through Saturday, April 27, at 8 p.m. in Dell'Arte's Carlo Theatre in Blue Lake. This is a "pay what you can" event, but be sure to make reservations in advance by calling (707) 668-5663 x5. Humboldt Circus' Carnival of the Mind revels in the good old days of the big top circus as well, but with more juggling. And the family friendly antics of Carnival of the Mind are not limited to the stage; there will be games, sideshows, popcorn and discounted entry for costumed attendees. So pin on your squirting flower, cram all your friends into one tiny car and head on down to the Van Duzer Theatre on Friday, April 26, or Saturday, April 27. Admission is $6, doors open at 6 p.m., and the show starts at 6:46 p.m. (for some reason). 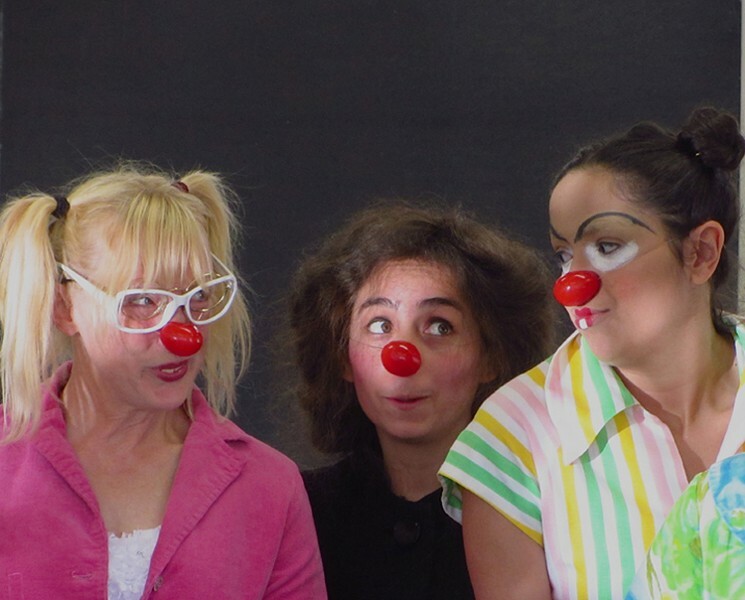 This weekend is the perfect opportunity to catch up on all those missed clowning opportunities, such as: seltzering, tumbling, miming and working through your crippling fear of clowns (it's not just me, right?! ).